A gorgeous image of Santa with a bag of toys from the Victorian era. There are several Santa’s in this series of artwork, and this is the second that I’ve published here. Here is the first Santa, which I’ve dubbed the the Spirit of Christmas Santa. The artist who illustrated them had a great talent for capturing the spirit of the holiday season. These illustrations seem to hold the jovial spirit of Santa and the hope of Christmas. They are truly something to treasure. These Santas would be great for numerous DIY projecs and digital designs. 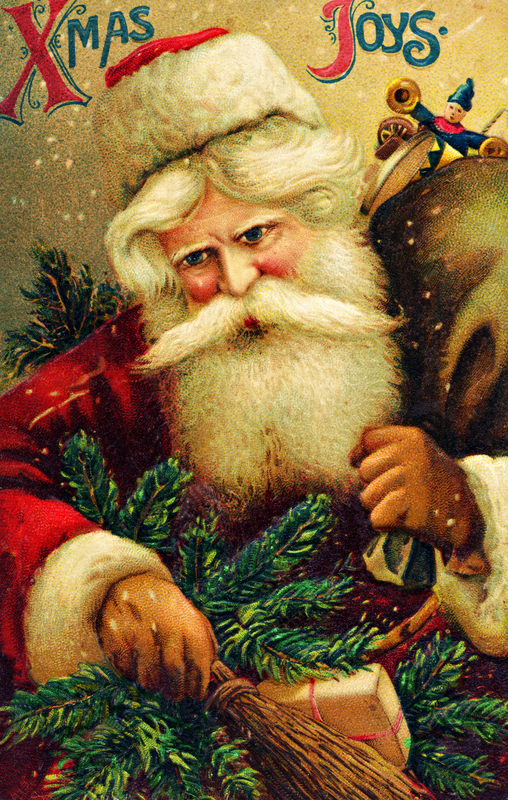 This entry was posted in Christmas Graphics, Santa and tagged antique image, Christmas clipart, free clipart, free graphics, Free xmas joys santa graphic, Santa Graphic, vintage image on November 4, 2014 by ClipArtPlace.